What Foods Can I Eat While Following the Candida Diet? Here’s the part you’ve been waiting for. You’re planning your diet, thinking about supplements, and eager to free yourself of the symptoms Candida is causing in your body. While the anti-Candida diet is known for being restrictive, we think you’ll find that with a bit of creativity you can do a lot with the foods you are allowed to have. Eating the right food on your candida diet can be expensive and time consuming, so for most it is okay and in fact recommended to take it in supplement form. In my case, I honestly do not have the time to eat that much nor can I find a lot of the foods with those ingredients in them. I take canxida remove supplement that contains all those ingredients and works fine. Let’s start with the largest and most giving food group – vegetables. The best way to eat vegetables is raw, though grilled and steamed veggies are great, too. Vegetables you can have include (but aren’t limited to), spinach, onions, kale, garlic (great for fighting Candida), cabbage, broccoli, asparagus, zucchini, eggplant, cucumber, and even Brussels sprouts. The key is to avoid starchy vegetables (no potatoes, yams, or squashes) and all beans/legumes. You carnivores are likely wondering about meats. You can eat meat, but only if it is organic. Processed meats and non-organic meats are full of hormones, chemicals, and even antibiotics (a huge contributor to the growth of Candida). If you have to peel it out of a container, package, or can, you should probably be avoiding it. Beef, lamb, turkey, chicken, and even eggs are great sources of protein but – again – only if you can buy them organic. Pork products are almost always smoked, and should be avoided. Your fish options are rather limited, if you prefer your protein from these sources. The most often recommended are wild salmon, anchovies, sardines, and herring. Fresh fish needs to be wild and not farm raised, so make sure you are checking the labels on packages or at the deli case. Anchovies, herring, and sardines can often be purchased in cans packed in olive oil or water but, again, make sure they were wild. Dairy products, in general, should be avoided. Fermented dairy products like kefir and yogurt, are safe because the fermentation process has changed the lactose into something that won’t feed your Candida. 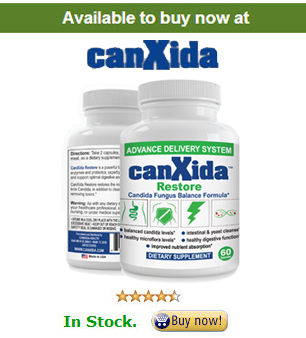 As a matter of fact, these fermented choices contain probiotics that will help you to fight your Candida overgrowth. You can only have grains that are non-glutinous because the gluten converts to glucose/sugar in your bloodstream and will feed Candida. Grains like quinoa, millet, oat bran, and buckwheat are incredibly healthy and also offer a good deal of fiber – important for keeping your digestive system healthy. Check the gluten-free section of your grocery store if you really need help, but make sure you are avoiding sugars and additives. When the going gets tough and the food seems bland, you’re going to find that variety really is the spice of life – especially if you learn to love spices and seasonings. Cooling oils need to be limited to those that are a bit healthier, like red palm, coconut, virgin coconut, olive, sesame, and flax. Just be careful to check their cooking temperatures so you don’t scorch them or cook out their healthy properties. Spices and herbs often have antifungal properties and many are known for being antioxidants as well. Experiment with things like basil, black pepper, rosemary, thyme, garlic, oregano, cloves, cinnamon, dill, and any others you can find fresh or dried. Other seasonings you might try include sea salt, apple cider vinegar (raw, organic only – never white vinegar), and lemon juice. Experiment with mixing these seasonings and some herbs and you’ll find you’re able to create some tasty marinades and salad dressings. Nuts and seeds can be eaten in moderation, but only certain varieties. Things like almonds, hazelnuts, sunflower seeds, walnuts, and pecans are high in healthy fats and do not contain as much mold as other varieties. You are definitely going to have to avoid all juices, sodas, and processed foods. If you can’t give up alcohol, you’ll never overcome a Candida overgrowth. It’s safest to stick with herbal teas like ginger and peppermint (both great for your stomach and digestion), chicory root coffee (absolutely no regular coffee), and plenty of clean, filtered water. You do, of course, need to avoid all sugars in your beverages and foods, but you can replace sugar with stevia and xylitol in moderation, if absolutely necessary. Hopefully you’ll find plenty on this list of foods to keep you satisfied. A little bit of meal planning – chopping veggies so they’re easy to grab, shopping with a menu, etc. – can go a long way in making the anti-Candida diet easier to follow. And, of course, make sure you are strict about the foods to avoid as well.